In this beautiful backsplash tile design, we’ve combined classic natural ivory travertine and contemporary glass-stone blend interlocking tiles. 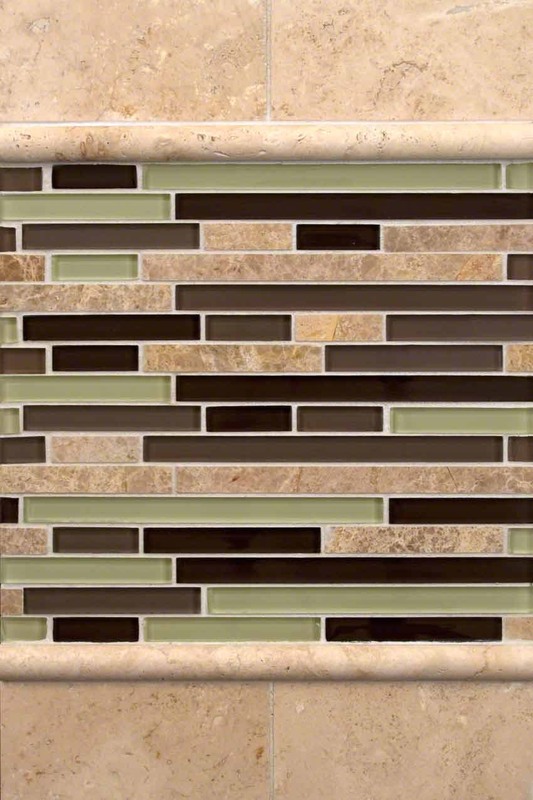 Aspen Interlocking kitchen backsplash tile features chocolate, brown, and sage glass tiles and travertine tiles, making this mosaic backsplash tile the perfect partner to Ivory Travertine Subway tiles. The entire installation is framed perfectly with Ivory Travertine Pencil Moldings.